On 2 August the European Research Council (ERC) announced its 2018 grant competitions with a total budget of around €1.86 billion, most of which are meant for early- to mid-career researchers. Two grant competitions – for Starting Grants and for Synergy Grants – opened on 3 August. The Work Programme, established by the ERC Scientific Council, was pre-announced on 19 July, and adopted on 2 August by the European Commission. The Work Programme includes all the well-known and established ERC funding schemes: Starting, Consolidator and Advanced Grants, as well as Proof of Concept Grants for ERC grantees who wish to explore the innovation potential of their research results. 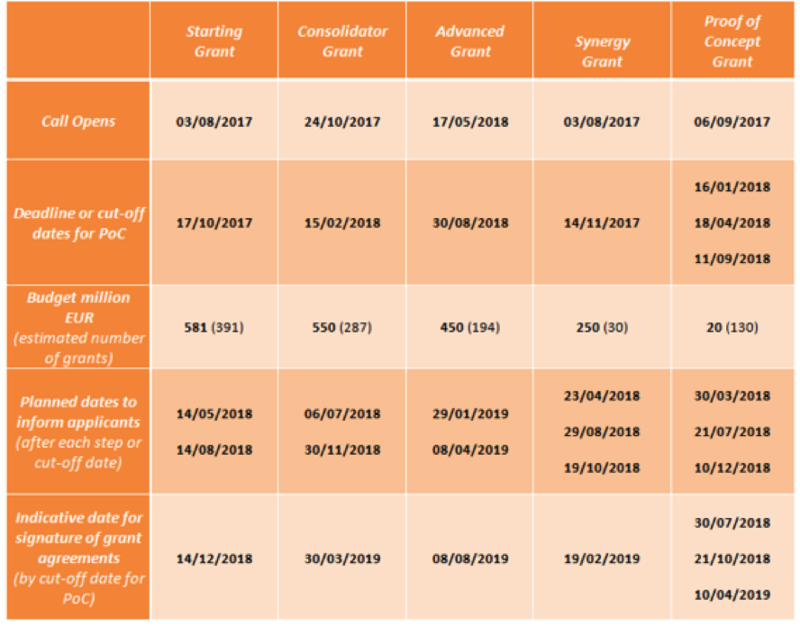 What is new is the Synergy Grants scheme which the ERC Scientific Council decided to reintroduce for groups of two to four excellent principal investigators. The grants may be awarded for up to €10 million for 6 years. The ultimate goal of the scheme is to give support to close collaborative interactions that will enable transformative research, cross-fertilizing disciplines and capable of yielding ground-breaking scientific results.